"It is government's responsibility to make the environment clean but it is not possible with people's cooperation. We need to work together for the conservation of natural resources. We need to come forward to conserve the precious gift of nature. 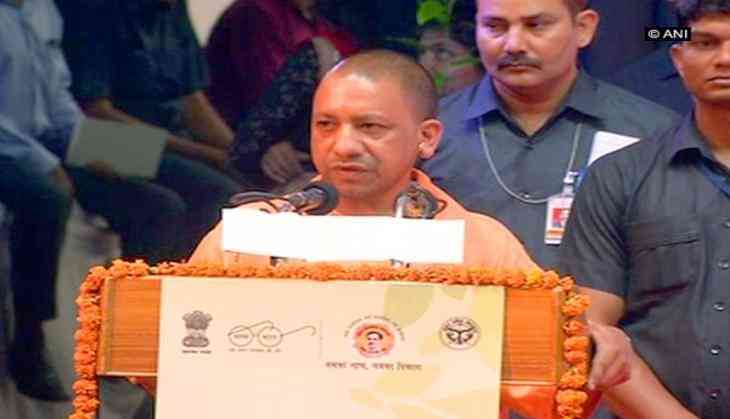 Not only afforestation, but protection of trees is also important," Adityanath said. He further said that the people have ruined the environment while running behind materialistic life. "The natural forests are getting extinct and buildings made up of concrete are taking its place which would not help purify our environment. Garbage, polluted and savage water are being dumped in rivers. We are not planting any new plants but blatantly cutting down old trees," he added. Earlier, Union Environment Minister Dr. Harsh Vardhan said that the people across the country should pledge to protect and respect nature, adding small amends in daily life would lead to a better environment. "Environment belongs to all of us and it belongs to our future generation also. Our ancestors gave us clean rivers, pure air, rich forests and fertile soil. They also gave us the ancient wisdom to protect and respect mother nature. We have to pledge to make small amends in our day to day lives to make the environment better," Dr. Vardhan told the media here. He added that due to lack of understanding or lack of commitment, humans have probably ruined everything. "We have to ensure that we fulfill our solemn duty to protect and preserve nature, ensure that the forests remain as dense and rich as they were handed over to us and we no longer pollute the rivers," he asserted. Earlier in the day, Prime Minister Narendra Modi said it is the right time to reaffirm the commitment of protecting the environment and nurturing a better planet. "WorldEnviromentDay is the right time to reaffirm our commitment to protecting our environment and nurturing a better planet. We salute the will & determination of all those individuals & organisations working towards protecting the environment. #WorldEnviromentDay," Prime Minister Modi tweeted. He said this year's theme of 'Connecting People to Nature' is nothing but getting connected with ourselves and with nature. World Environment Day 2017 is being observed on 5 June across the world and the theme of this year is 'Connecting People to Nature'.